One of the things we most wanted to do in the Okanagan on vacation this summer was to bike the Kettle Valley Railway (KVR) Trail. 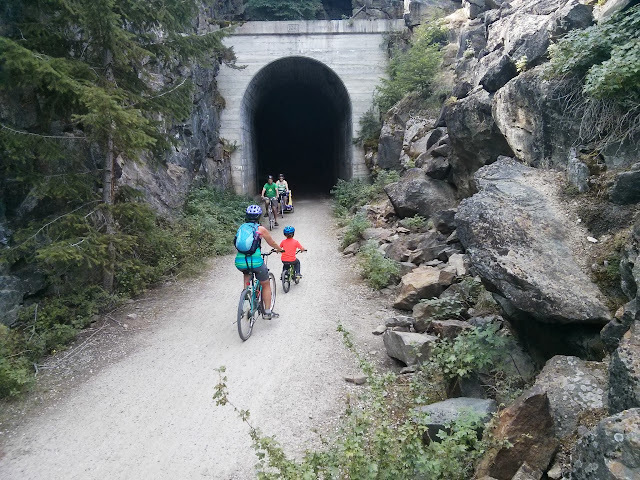 Once a railway line, the KVR is now an amazing place to go biking and hiking on a converted rail bed that's part of the Trans Canada Trail in British Columbia. 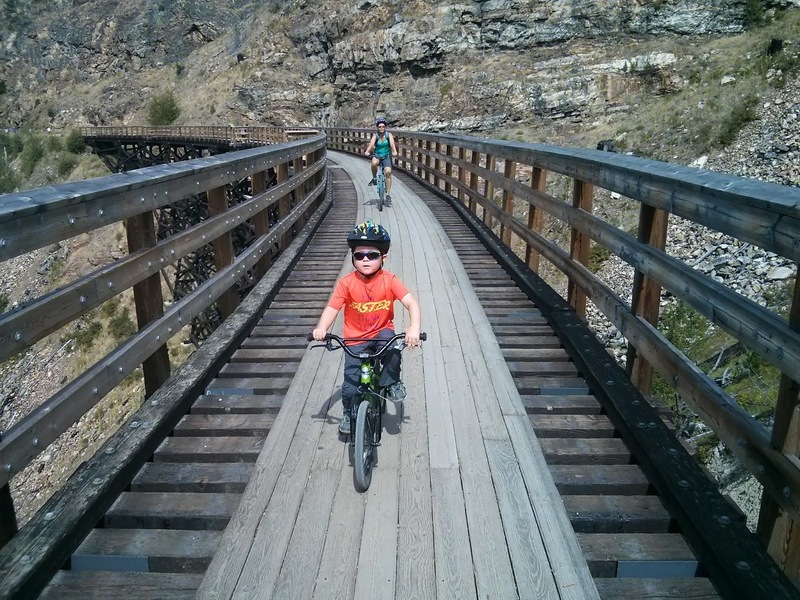 We wanted to bike the Myra Canyon section so that we could see the restored wooden trestle bridges in Myra-Bellevue Provincial Park. It turned out to the be the absolute highlight of the entire August vacation for me and the best bike ride I've ever done. We got to bike over 15 restored wooden and steel trestle bridges as well as bike through 2 train tunnels. When was the last time you got to ride your bike through a train tunnel carved out of a mountain? Wicked cool!! We did 12km between the Myra and Ruth trailheads but got turned around at Trestle 3 which had been damaged earlier this spring in a land slide. By next season it should be restored again and the entire Myra-Ruth traverse will be passable. Having to stop a few trestle bridges short of the Ruth parking lot didn't really bother us though because we couldn't have biked any further even if we'd wanted to. We should have stopped a bit earlier in fact. Noah was pretty tired by the end and while the trail seemed flat the whole way out, it was just slightly uphill most of the way back. Oops. Still, pretty proud of a 4 year old for riding 12km on a pedal bike. He did awesome and it was a fabulous ride we'll be repeating every year when we are in the Okanagan. 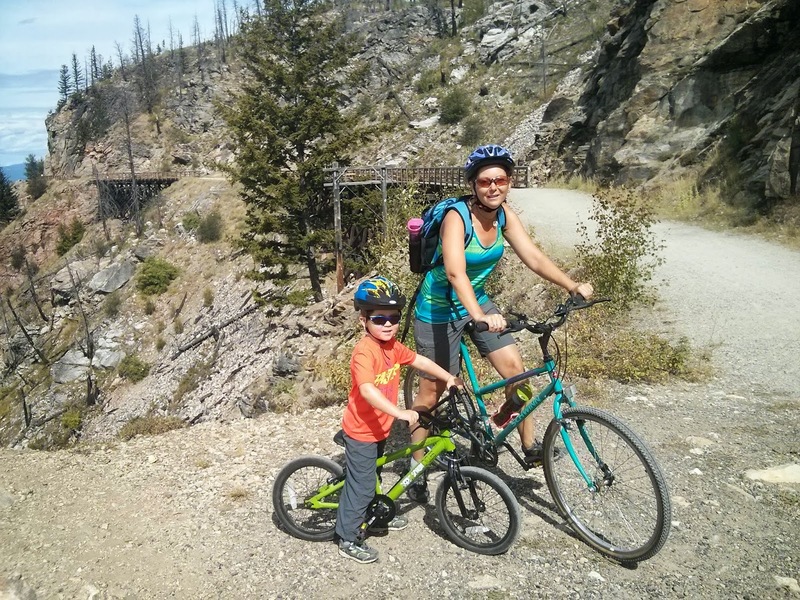 If you are in the Okanagan, the KVR from the Myra parking lot is a very family-friendly bike ride or hike. While the trail is not paved, it is hard packed gravel and smooth for riding. 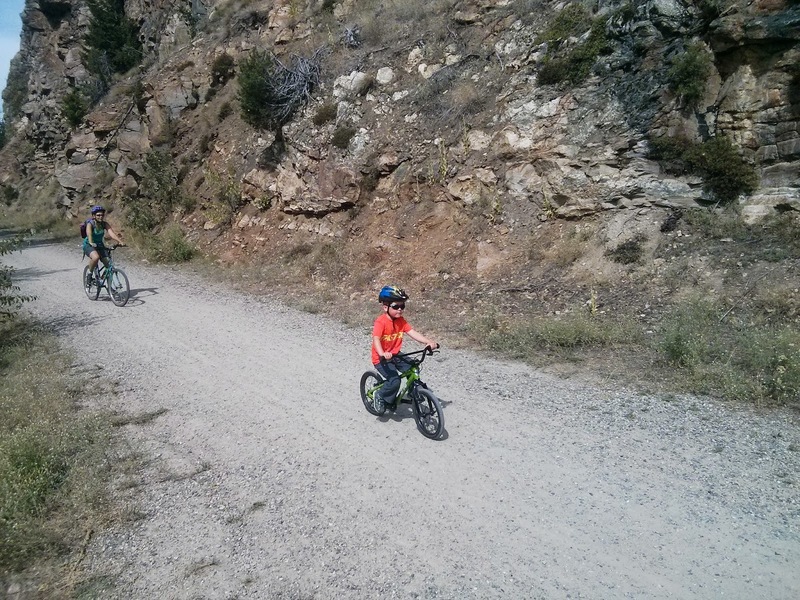 Mountain biking doesn't get any easier than this section of the KVR. I wouldn't try it with training wheels on a kid's bike but we did see people pulling younger children in Chariots. If you need to rent bikes, check out Myra Canyon Bicycle Rentals which operates right in the Myra parking lot. Reservations recommended. For directions to the Myra Canyon trailhead in Kelowna visit the Tourism Info Centre for a printed map. Otherwise, you can find detailed driving instructions on the Provincial Park website. For more information on the Okanagan Valley in British Columbia follow this link to my most last post: Vacation Wonderland in the Okanagan Valley. 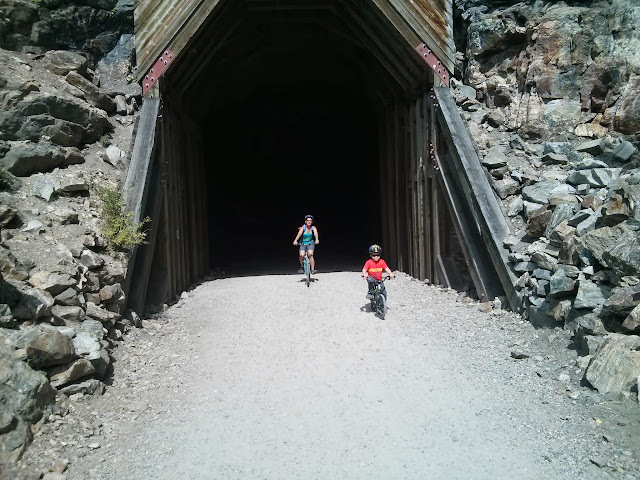 This section of the KVR is indeed smooth and well maintained and has wonderful tunnels and trestles. Though I still endorse the KVR as great family fun, I think it is important to note that the rest of it is not like the Myra Canyon park. Much of the KVR is shared with quads and dirtbikes and sometimes even cars. Just south of the Myra Canyon, parts of the Bellevue section are deep sand and loose gravel, people without fat tires on their bikes will be pushing for many sections of the KVR trail. Anyone who goes expecting a smooth, hard-packed trail for the entire distance will be disappointed. Anyone who goes to enjoy a trail through varied scenery including farms, forests, lakes and rivers will have a great time. Bring your fat tires. Thanks for the information. I agree, the Myra Canyon is not indicative of what the whole trail is like. We chose the Myra section because we knew it to be family-friendly. We hope to do the Chute Lake section in the future but know that we will need shocks and a better bike than I currently have. Will have to wait a bit till my son is old enough. We had contemplated doing another short section between Naramata and Penticton that we were told was easy but the Tourism Info. Centre wasn't too convinced we could do that part as a family. Again, in the future. Yes you could have done the Penticton section. I would suggest starting in Penticton to make the return be downhill, and be prepared for more hills since the section heading toward Naramata does not follow the railbed until it is out of Penticton and so it is much hillier than your previous experience. Don't worry about suspension for your bikes, just wider tires. My wife managed just fine with 2.3 inch tires (Schwalbe Big Apples) on a city bike loaded for touring. The trick is to run low pressure (like 20psi) to be able to stay on top of the sand. The youngster will be fine as long as he has a light bike and his tires have low pressure in them. Kids are light, so they can run lower pressure in skinnier tires than us. The pedalling in soft stuff is more tiring than hard pack, but as long as you plan short or flexible days (as you clearly do) you will be fine. Thanks! Appreciate all your information. Definitely want to get back on the KVR next summer when we return to the Okanagan. Just visited your blog Doug. 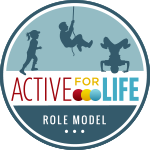 Awesome information on family biking. Like the Elbow Loop story. Some day we hope to do that one. Are you on Twitter or FB to follow? Thanks. 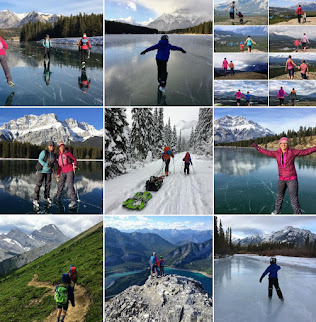 Yes indeed, coldbike on twitter and frozen_bike on flickr and I have a couple of posts (mostly unfinished and I am no longer using a spot) on spot adventures, There are some more Chilcotins entries and some hiking from this summer that should get written soon. The Elbow Loop is a family camping gem, I cannot say enough good things about the versatility of having so many excellent camp spots spaced attainable distances from each other. I am hoping that it reopens for use this year, is is a great spot for winter bike camping. 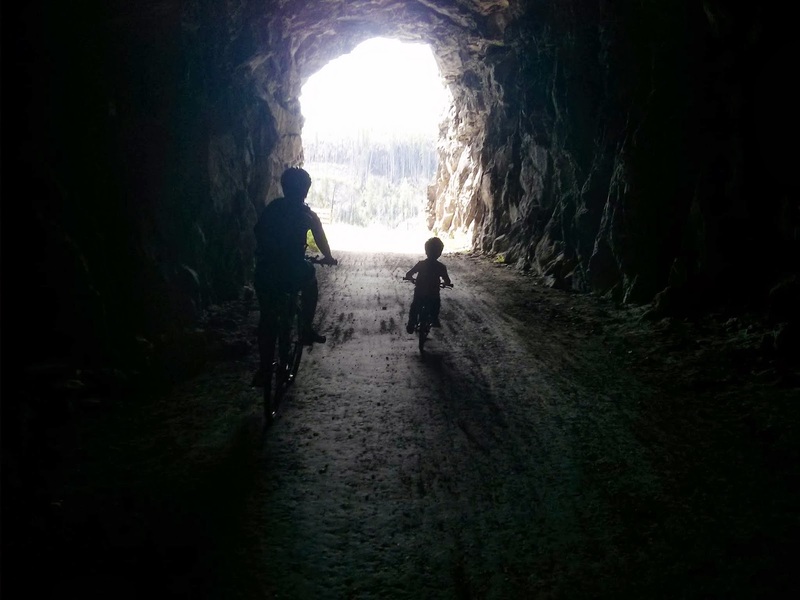 Though it sees lots of (mostly friendly) quad use on the weekends, I can recommend the C&W trail from Castlegar to Grand Forks as another nice family rail trail choice. There are rest stops along the way with pit toilets which make good cycle camping spots. There are several trestles and a 1km tunnel. Bring your wide tires. I think the Elbow did open, didn't it? Yep. Just checked. All of Elbow Valley is open now. Winter bike camping - now that I need a guest post on should you ever feel so inclined. wow. Thank you. Maybe I can get in to do some camping with my daughter before the snow sets in. 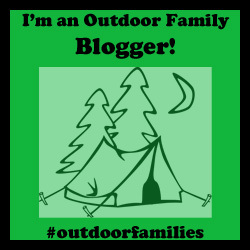 She loves all outdoor activities, particularly if there is sleeping outdoors. I may take you up on the guest writing, if you can put up with my slow delivery. I will also let you know if I am heading somewhere in October in case y'all want to come along. 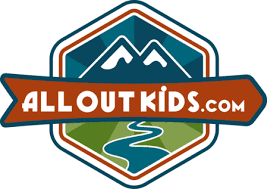 The shoulder season is a great time to take the kids out, especially if there hasn't been too big of a snow. Tombstone pass has a tremendous stand of larch and it is wonderfully secluded, unlike some of the more popular larch viewing trails.